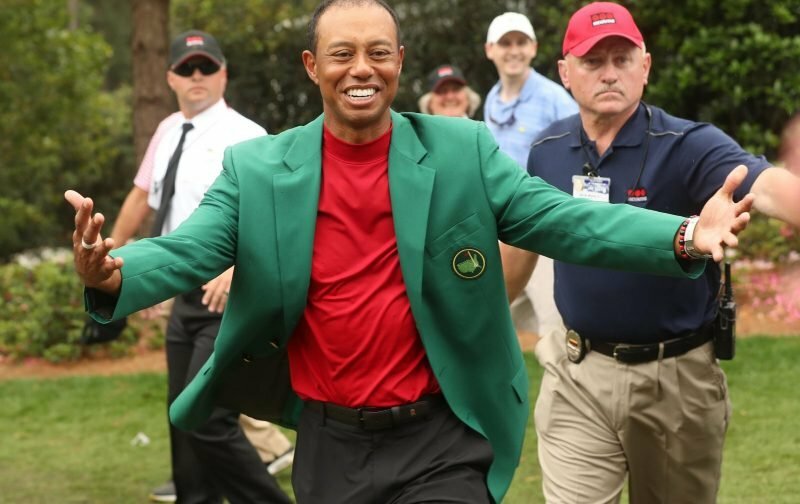 One Celtic fan enjoyed a double celebration today as he watched Tiger Woods win the 2019 Masters- more than a decade after he last won a major. Some are describing it as the greatest comeback in the history of sport but 30,000 Celtic fans inside Hampden only had eyes for their own Tigers as Celtic beat Aberdeen 3-0 to reach the final of the Scottish Cup. Celtic fans have had plenty to celebrate since Woods last won a major title with the most famous golfer in the game going through a number of personal traumas as well as requiring back surgery as his world ranking plunged deep into three figures. Woods can now look forward to three more majors this season while Celtic look to complete their own grand slam by winning all three domestic trophies for the third year running. Despite winning the Scottish Cup more than any other club the hoops have never lifted the trophy three years running with Neil Lennon’s side having the chance to achieve that on May 25 when they face Hearts at Hampden.